Special Price - 15% Off! 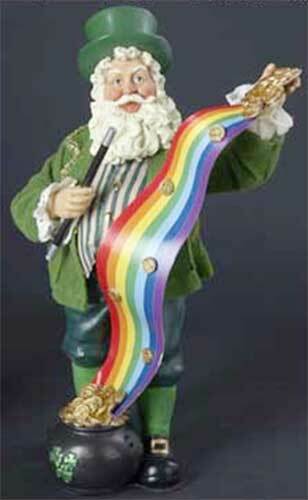 This Irish Santa decoration is named Sweetest Holiday and he features shamrocks along with a pot of gold at the end of the rainbow. The Irish Santa stands 10" tall and is made of porcelain and Fabriché by KSA. The Irish Santa figurine is gift boxed with a shamrock history card, complements of The Irish Gift House.